Forests provide products we use and food we eat. They also provide homes for wildlife and medicinal plants. They are even responsible for the air we breathe. However, forests are threatened by destruction from development, logging, mining and agriculture. Conserving them is crucial to avoid negative outcomes and sustain the services we acquire. Forests improve air quality and reduce the emission of greenhouse gases that are believed to contribute to global warming. Through photosynthesis, forests absorb and store carbon dioxide, a greenhouse gas, and release oxygen into the atmosphere for us to breathe. Through deforestation, we not only reduce the Earth's natural ability to absorb greenhouse gasses, but we also release the stored carbon back into the atmosphere, polluting the air. Forests prevent soil erosion, replenish streams and rivers, and provide drinking water. When leaves, branches and seeds fall in a forest, they release nutrients into the soil to keep it rich and fertile. 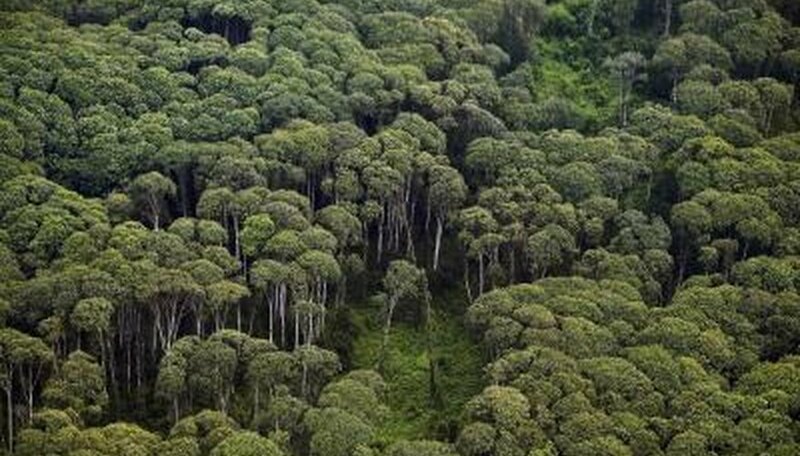 Forests also collect rainfall on leaves and branches and absorb it into the ground to properly disperse the water back into the atmosphere and waterways. Without forests to naturally distribute water and nutrients, extreme flooding and droughts could occur. Forests house millions of species of plants, animals and insects, many of which already provide food, conveniences and medicines. Conserving forests would allow us to discover and research new species and possibly find more cures for disease. Forests provide beautiful scenery for relaxation and solitude. They also offer recreational activities that are good for physical health and social bonding, including snowshoeing, hiking, backpacking, camping, hunting, kayaking and fishing. By preserving forests, we allow everyone to get away and enjoy the experience of nature.